Their designs are based on creations from existing materials without waste. For the ESMOD-graduate comes Recycling always first. She grew up with the idea that old materials can be brought back to life. And it was this kind of concept, that was awarded by the Senate Department for Economics, Energy and Public Enterprises and the Fashion Council Germany as part of the mentoring program for sustainable fashion. In the interview Karen Jessen answers, what her inspiration is, which role berlin plays for the development of sustainability and what we ca expect from her in 5 years. When was the first time, you came into touch with fashion? Craftsmanship is my passion. From my father I`ve learned the seaman's knot and from my mother crocheting, knitting, plying and macrame. My love for fashion has come through materials and craftman techniques. Since my childhood I have designed garments, so that it is impossible to imagine my life today. What was your idea behind the name of your label? Benu Berlin – Benu is in the Egyptian methology better known as the phoenix, that rises from its ashes: It symbolises youth and strengths and re-birth. What happened is that the first piece of my graduate collection was a coat made of 70 T-Shirts, which were collected from all second-hand stores in Berlin. I put all these different T-Shirts into one piece and it looked like a colourful bird. I created the piece and that was the phoenix from its ashes. The fact that you think something is lost or trash and you just can re-use it and make it even more beautiful and more valuable than it was before – that is the idea behind upcycling. What inspires me is the city of Berlin. And this very inspiring place and also the mix of people and this young and creative crowd in Berlin, that catches so many attention and brings together so many people in one place. My engine is meeting people and seeing different things. There are so many different things happening and so many people coming from anywhere and I think it is always a nice inspiration. Why is your label sustainable? The basic idea when I started creating the first pieces taking street wear materials and bringing these into a different context. I love denim and I think it’s such a genius material and such an iconic piece of clothes. I work a lot with jeans and jerseys and also with recycled leather. I think these are the common materials to wear in our every day life. I like the simplicity behind the material. I cut them in pieces and join different individuals into a new artwork and this is a nice process of bringing people together and their stories and their clothes and memoriest hat are linked to this clothes when you wear those clothes. When I decided to speacialized to upcycling it was clear for me to upcycle denim. I think denim especially is a material that gains value by using it and gains character because it is like the transforms and makes this piece of garment so interesting. This is why I think it has to be re-used. My collections are so artistic with a feminine but very strong character. I am 100% sustainable but I don’t just want to communicate it. I think fashion has to be communicated through its statics not just through a way of sustainable. We have to stop communicating sustainable fashion as sustainable fashion, we have to create fashion that is sustainable just as a matter of course. 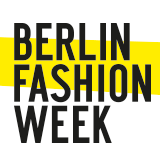 How do you see the development of sustainable fashion in Germany? Sustainability becomes more and more important in our society because we need sustainable solutions to maintain our planet. We have already destroyed so much, that we need to tink about sustainability in a huge context. We have to hurry to find these new ways of consumptions to keep at least what we still have and try to maintain our planet as it is. Otherwise there is no future. This development of sustainability, you´ve described – it´s possible to happen also in other cities? Berlin is epi-center for sustainable fashion. In Berlin you can see that people want sustainable solutions not just in fashion but also in all other areas, where they are consuming. In Berlin we have the diversity and the freedom, makes people so educated and aware of what happens on this planet. There are a lot of people who really believe in the idea of sustainability. That is why it can grow here. What can we expect from you and the fashion industry in general in 5 years? I think the next step for me is craeting ready-to-wear collections and bringing them to international market. Berlin has worlwide such a hype. All people know it is a very creative place with a marketing power. Because Benu Berlin is original Berlin – it has the simplicity in materials and the german creative way finding easy solutions – there is a way to market it in other countries. The product is a typical Berlin Art piece. I would like to use the creative power to sell clothes with a berlin identity. We people from berlin also need to bring our potantial into other markets. In the next 5 years I would like make the simple idea of Benu Berlin internationally more relevant and bring it to a bigger audience. This is what I want to continue. "Make Love Not Fashion" – motto and engine of the young label Benu Berlin. The founder and fashion designer Karen Jessen interprets the fine art of tailoring as a transparent, interactive process based on sustainable production.